Shy takes the summer job to make some money. A few months on a luxury cruise liner--how bad can it be? Bikinis, free food, maybe even a girl or two . . . every cruise has a fresh crop of passengers, after all. He'll rake in the tips and be able to help his mom and sister out with the bills. Matt de la Peña is the first Mexican American author to win the Newbery Medal. He attended the University of the Pacific on a basketball scholarship and went on to earn a Master of Fine Arts in creative writing at San Diego State University. He lives in Brooklyn, New York, where he teaches creative writing. 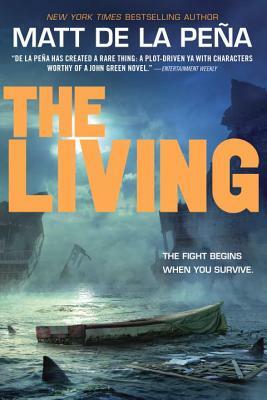 The Living is his fifth novel and was named a Pura Belpré Honor Book. Look for his other books, Ball Don't Lie, We Were Here, I Will Save You, and The Hunted, all available from Delacorte Press. You can also visit him at mattdelapena.com and follow @mattdelapena on Twitter.